In addition to our Publications ned can assist client specific projects. Sometimes, a company’s Press Releases are better than its technology. Examples of this are found in both big and small companies. For an investor, the problem is whether this situation can be identified. It is important to move beyond the marketing speak, digest the technology, review any patents and determine if there is value. Ned can help with these aspects of an investment decision. Once you know if the technology is real you can consider investing. There are good patents and there are not-so-good patents. Good patents get the technology right. They have a better shot at protecting the technology and adding value to a company. Not-so-good patents are far less likely to both protect a company’s technology and add value. Understanding the technology is central to understanding a patent and its value. If you are confronted with unfamiliar technology, ned can help sort through it. Marketing likes to remove context. It likes to make a technology appear isolated and free of competition. 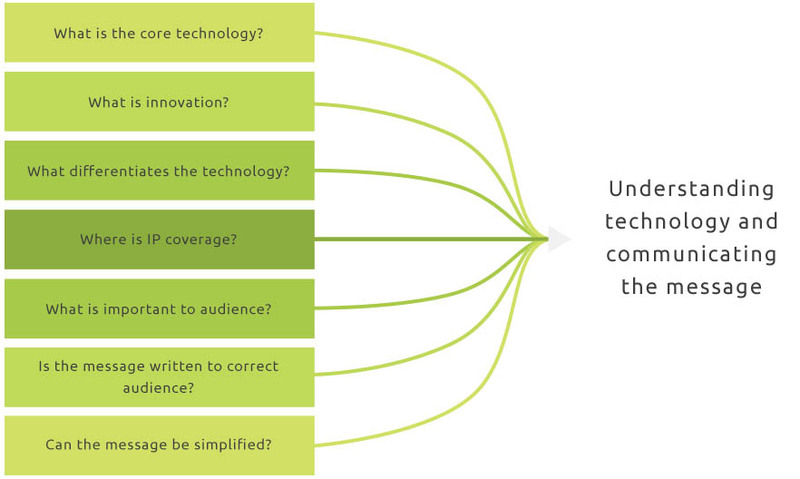 However, valuing a technology requires an understanding of the technology and its surroundings; its context. It is important to determine how a technology fits into and compares with its surroundings. Context can be difficult to determine, particularly if you do not have some history in the area of technology or experience asking the right questions. Ned has experience determining context and fitting technology into a landscape. There may be other tasks related to understanding a technology, including conducting a technology overview of a company, obtaining a third party review of a particular technology prior to an investment, or educating professionals with respect to a new technology. By applying the methods developed for our publications to client driven projects ned gets to the essence of a technology, the discussion around it and prepares a message appropriate for and digestible by our clients. ned was founded by and receives its strategic vision from Paul Boldt, Ph.D. (Materials Science). With a background encompassing basic research, reverse engineering, and patent drafting and prosecution, Paul saw how non-technology professionals could advance their services with access to and continued training in technology. © Copyright 2019 ned, maude, todd & rod inc.
WordPress Website Design and Development by Machine in Ottawa, Ontario, Canada.